i have always been a japan fan. a massive one – especially as i have never visited the country. 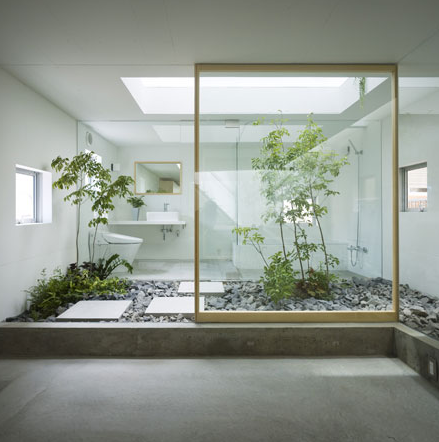 and among all things japanese, i very much respect and admire japanese architects. they have a particular flair for airy, light, clean spaces because the country is an island, land is scarce and therefore space is a luxury. their residential projects are something that instantly gets me daydreaming – a day when i get to build my own house. japanese simple clean aesthetic in combination with rugged coastal croatian landscape influence. one practice in particular moves me – it is suppose design office. the imagination with which they turn the smallest of spaces into an interesting, natural light filled habitats is absolutely amazing. the wittiness and playfulness of the spaces reminds us of the more important aspects of our lives. to me they look like a perfect invitation away from the daily grind and stress with a handful of humour thrown into its shapes, walls and windows. closed to the outside and open to the inside. a shelter and a home. we could all learn something from it.